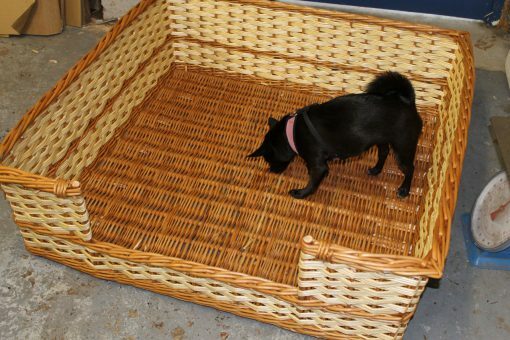 We’ll make your dog basket to the size you require. 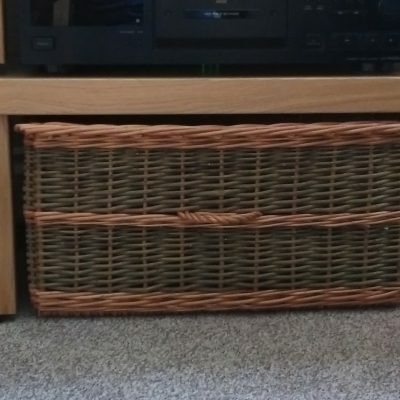 We can work either to inside base measurements, if you have a cushion for inside, or external measurements, if the basket has to fit in a particular space. 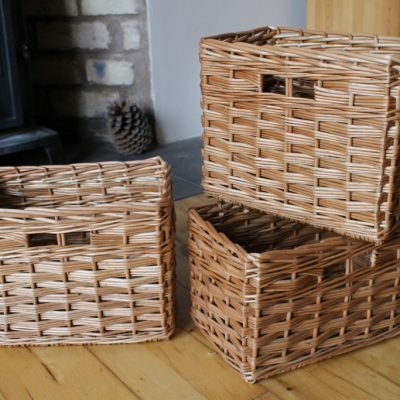 The one shown here is made from buff and white willow, but you can have all buff, buff and steamed or buff and green. See Willow Colours page for more information on the naturally derived colours available. The size of the basket shown is quite large with an internal base size of 100cm w x 97cm d and 35cm h overall height. The price for that size is £220 plus delivery of £25. 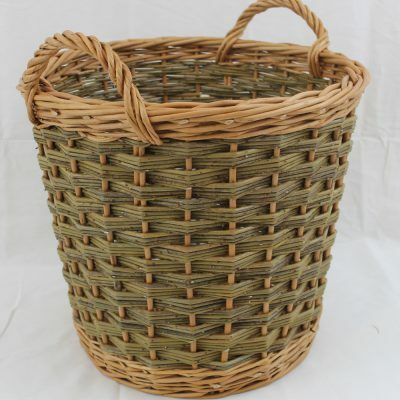 For a basket with external size of 75cm x 60cm x 25cm h the price is £96 and delivery cost of £12. Please call Alison for a quotation or send an email.